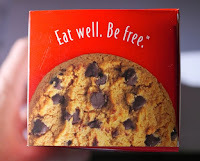 Welcome to Day #3 of Chocolate and Gluten Free Cookies Theme Week. 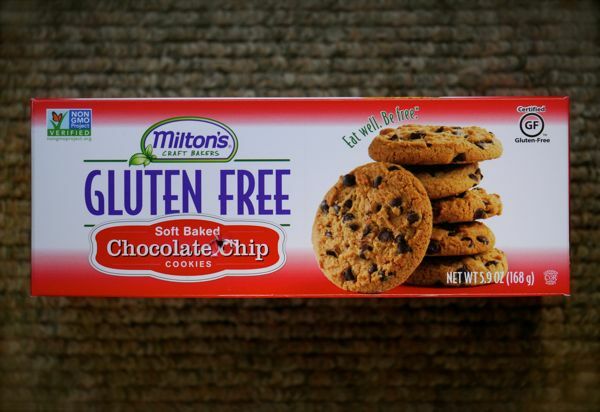 Milton's Baking Company (Carlsbad, CA) offers a line of gluten-free crackers and cookies. 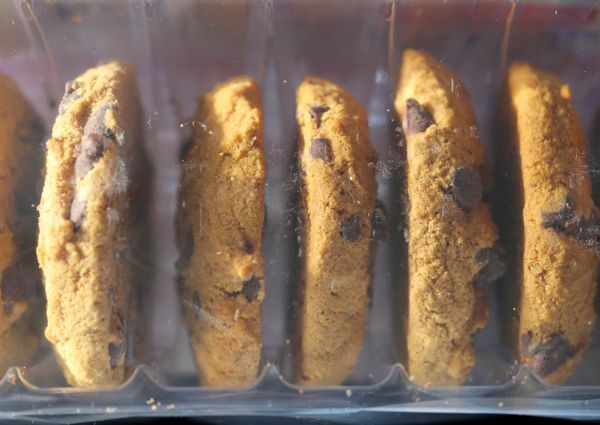 Today's Gluten Free Chocolate Chip Cookies came packaged in a box of 8. 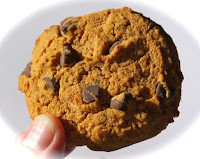 These soft-baked cookies held their shape, weren't too crumbly and, as promised, had a soft bite and slight chewiness to them. A fairly generous sprinkling of chocolate chips added some rich flavor and melt in a sea of cookie sweetness.